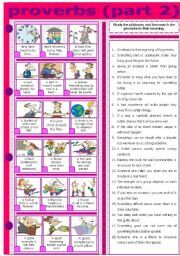 A worksheet on the use of STILL, YET and ALREADY with 2 activities.Hope you like this one, too. 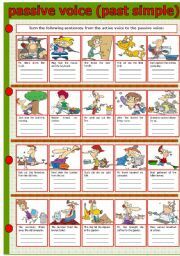 This is a set of 80 IRREGULAR VERBS, divided into 4 parts. 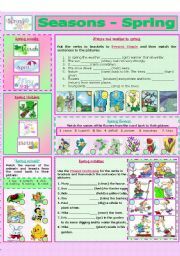 Each set contains a pictionary of 20 irregular verbs, followed by a worksheet with fill in with the past tense form and matching exercise, and one more worksheet containing a wordsearch exercise of the participle form of the verbs. ENJOY !!! 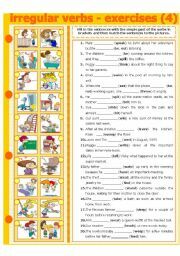 A worksheet on the use of SINCE, FOR,IN and AGO, with 3 activities. Part 3 in the PROVERBS series. KEY INCLUDED! ENJOY !!! 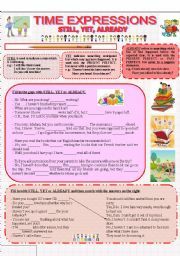 A short grammar explanation on the use of ARTICLES, followed by a fill in and matching exercise. 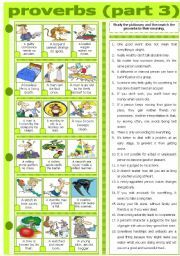 I hope you will find it useful! ENJOY !!! The last SEASON in the series: WINTER. You know by now the contents: weather, months, holidays, activities. Enjoy, and thanks a million for downloading my work! 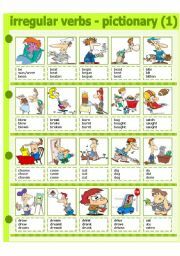 First worksheet for the last 20 IRREGULAR VERBS: fill in with the simple past of the irregular verbs and match with the pictures. ENJOY !!! 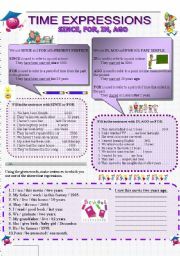 A set of 20 sentences in the past simple to be turned from the active voice to the passive voice. I hope you find it useful! ENJOY !!! Part 2 in the PROVERBS series. ENJOY !! !